Scott Morrison's suggestion that an ABC reporter was a Labor partisan is just one the ways he's been channelling Trumpism. 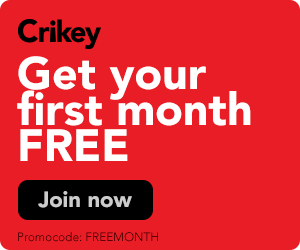 Morrison’s “stop asking questions from the Labor Party” diktat to the ABC has taken Australia one step closer to a political discourse dominated by Trumpian semiotics of “fake news” and “enemies of the people”. 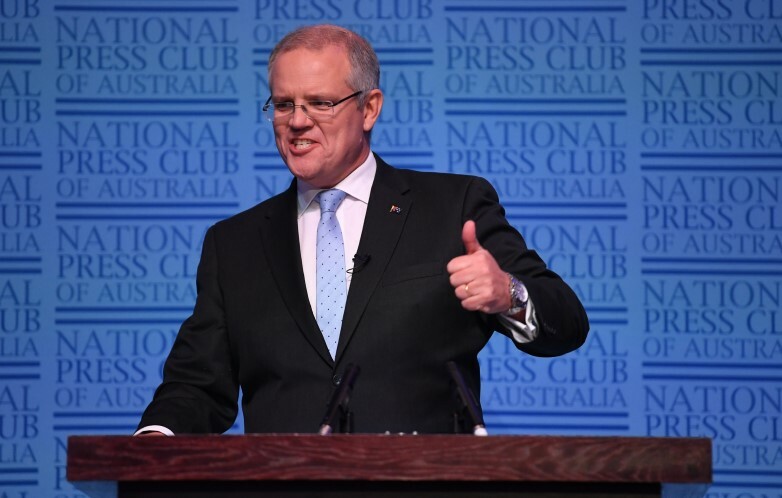 Like Trump, Morrison’s aim was to undermine the media — and particularly the ABC — in the minds of that mythical creature, the Liberal Party base, and help out News Corp on the way through. It came in the same week that Trump ramped-up his own war on journalists: revoking White House clearance from CNN’s Jim Acosta, dismissing another reporter’s “stupid questions” and calling a third a “loser”. For a journalist, Morrison’s insult is greater. Trump’s name-calling is straight out of the primary school playground; Morrison’s crack goes to the heart of personal and craft integrity. When Trump talks about the fake news media, he’s not talking about all media. He’s talking about the media that are the commercial competitors of his pal and reported confidante, Rupert Murdoch: CNN, MSNBC and, his personal bête noire, “the failing New York Times”. Similarly, in Australia, the focus of Morrison (and the Liberal Party in general) is on the ABC, in part, because the ABC’s trust rating — including among Liberal voters — makes it difficult for conservatives to create the siloed media that Fox gifts the US right-wing. The ABC remains, for the Liberals, “our enemies talking to our friends”. The long-term Liberal strategy is to chip, chip, chip away to convince their friends of the ABC’s profound and enduring enmity. At the same time, the attacks are pay-back for News Corp. The constraints of today’s media business is that while content is infinite, our attention is limited. That makes a freely available, publicly funded ABC a real threat to an advertising and subscription funded private media. In Australia, read “News Corp”. Still, it was no doubt a coincidence that Morrison’s attack on the ABC came the same week that former PM Malcolm Turnbull confirmed (on the ABC as it happened) the earlier reports of the Murdoch family connection to his dumping. The “journalist as enemy of the people” trope is perhaps the most institutionally damaging part of Trumpian semiotics adopted by Morrison. But it’s not the only one. He seems to be aiming for the Trump look, too. There’s the now-ubiquitous base-ball cap, with Australian branding substituting “Make America Great Again”. There’s the single thumbs-up to say “we’re in this together” to go along with the trademark Trump two handed thumbs-up. The social media of choice — multi-platform video snippets — similarly taunt with a “laugh-at-me or laugh-with-me, but notice me” Trump sensibility. His prime ministerial speech patterns reflect both the Trumpian blather of his opening press statement (“a fair go for those who have a go”) interspersed with the cut-through insults: “Bill Shorten is union bred, union fed, union led.” Morrison’s insults do have somewhat more political content than the personalised “Lyin Ted”, and “Little Marco” that Trump pulled out during the 2016 election. Policy commitments tend to be the same vague generalities (“we’re gonna fix this”) and he uses the same thought bubble technique (Jerusalem, anyone?) to focus the debate on him, for good or ill. Meanwhile, Trump has shown he’s willing to learn from Australia, as he famously suggested in his “you’re worse than I am” compliment to Turnbull. The “migrant caravan” that dominated right-wing discourse in the lead-up to the US mid-terms would have chimed in Australian minds with the familiar sound: Tampa, Manus, Nauru. The conservatives have always looked overseas for their scripts when it comes to peddling their wares to the Australian public. Not so long ago it was Thatcher who they looked to for inspiration. Some of the Iron Ladies acolytes in the coalition are still in Parliament peddling the anti-Union, poverty is good for you, Nationalism bullshittery. The problem for Morrison is that he cant find one of these personas large enough to mask his own rank crazyness. When he attempts the Trump thing he is just so obviously a shark wearing a crocodile suit eating a pie. He looks so much more like Foghorn Leghorn to me RH. Foghorn was a bit likeable, and had occasional wins…but yep, there are strong similarities in the presentation..!! “My pa used to tell me to shut up and I’d shut right up….. One time near starved to death. Wouldn’t tell em I was hungry. “ Does Scummo keep his feathers numbered in case of emergency ? The Foghorn Leghorn references are comedy gold. So apt. I wonder who his Miss Prissy is? Miss Prissy ? Christopher Pyne ?!? And we have a winner – too perfect! Fear not. Given the current polls, Morriscum will probably be gone by January. Well, it’s worked so well for Trump? Just as long as you don’t elt your mind wander to such things as “government for employers”, stagnant wages, loss of conditions and things like the potential for generational unaffordable home ownership? …… Rupert’s certainly not going to drag your eye in those directions. At Morrison and Dutton are on the same page when it comes to dog-whistling…and what a revolting page it is. I believe that you are right, Chris, but it is a lot more than that. I think that Scott Morison has begun to fold under the pressure. You can see that all this “Dinki Di, Fair Dinkum” schtick that he rolled out was a badly thought out brain fart, and one that he now realises was a very bad idea. You can’t turn a news page or open a website without hearing universal commentary about what a joke our PM is now. An empty blue bus being pursued by a VIP aircraft up the Queensland coast? This is comedy gold. So, now we get the cranky PM – this is not at all like it is in Hillsong at all. In church you can grab the microphone and blather any old nonsense and be met with heartfelt amens. In the real world you are actually judged by your words against your actions and the balance here is plumb out of wack. Ah well, you gets what you pays for. As our Dear Leader spirals towards election day expect more silly stunts and the subsequent sooks when they inevitably pratfall. The advertising executive in him has only one kind of arrow in his quiver and he will reach for it again and again and again. Scummo is fast becoming the perfect name for our fearless leader. The memes on the bus the beginning of the take down he deserves. He’s no Trump. We didn’t elect him as PM. Using the a Chicken Metaphor he is just one hop away from a quick axe blow & plucking from his friendly flock. His Handy Cap only fools a few credulous fools I suspect. But such has been morrison’s modus operandi from his time as Border Generalissimo-MP. Recall the media passivity in the face of the obsessive secrecy attached to “stopping the boats”; journalists had largely themselves to blame – their deference if not fawning in fact allowed then Border Generalissimo-MP Morrison enormous latitude. Since the election of the abbott Misgovernment, news on ‘illegal boat arrivals’ – as the government wants them to be known, and many fawning journalists obey – was rationed at the whim of the Border Generalissimo-MP (Morrison later Dutton). “Briefings will not be provided on tactical and operational matters that may compromise current or future operations” is THE universal escape clause, supinely swallowed by journalists typically unworthy of their job description. As with the hypocrisy of “stopping deaths at sea”, not “providing shipping news to people smugglers” is accepted without question as far more important than accountability to either the Australian people or indeed the Parliament. Yet people-smugglers know that Australia will simply refoul all arrivals, whether found at sea or on land. While journalists mumbled about then Border Generalissimo-MP Morrison choosing never to explain about “operational matters”, very few of them rebuked him. Those same journalists unanimously portray Morrison not merely as a rising star but the hero of Stopping the Boats (refugees themselves thus being airbrushed from reality). He was even proposed for PM! Obviously some journos sought to buy favour just in case. He is so frantically seeking an identity that might stick that he neglects having something to which it could adhere. It’s one thing being a hollow man but he lacks even a surface, less image than mirage. As bad as it was with Abbott and Turnbull, I can’t recall ever wanting so much to see the back of this government as much as I do now. Describing Morrison’s prognostications as thought bubbles flatters him, and defames bubbles. Baseball bats, primed and ready to go. Batter up. Yep, we’re going to need the Warner Bros to lift our spirits to help us get through this one. Imagining these clowns as cartoon characters may help. I nominate Yosemite Sam for Tony Abbott.